... and good news this flowy, beachy maxi is available to Jennyfleur Loves in Yaletown.. yay. Get it while you can. What are your thoughts on the Flowy Beachy Maxi? What are you wearing these days to try t yank the sun from behind the clouds? Today's Product of the Week proves that the finer things in life are now available for every part of your body and limbs! 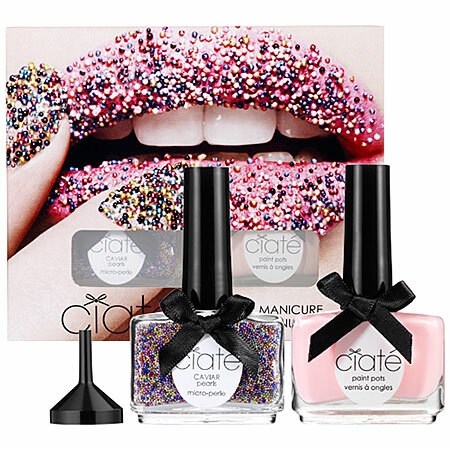 You may have seen this fad grazing the runway and in the magazines, but now Sephora carries an easy, do-it-yourself pack by Ciaté complete with base colour and caviar pearls for $28. You have a choice of 3 different polish shades and pearl colours; Strawberry Milkshake with Rainbow pearls, Snow Virgin with Mother of Pearl pearls, and Ghetto Fabulous with Black pearls. I had a go at it at their demo station in the mall and it worked quite well, however I did not have the patience to wait the suggested 15-20 minutes and some of the pearls started to fall off. I also made the mistake of coating the finished product with a clear top coat which made the colour of the pearls run and smudge together. If you like the idea of the 3D mani and are looking for a no hassle pack to make your fingies look like those of the celebs, then this is the perfect product for you. I personally found that the price was a little steep, so I am in search of a cheaper alternative.. possibly find the pearls separately?.. I'll keep you posted. It's another Wednesday, which means another Clarisky Piece of the Week...yay! After tapping into my inner Rocker Chick a couple weeks ago with the Fringe Crop Top I wanted to take the love, peace and rock'n roll train to the next stop which is Boho-Chic Town of course. This outfit would not be complete without the gorgeous flowered head band made by the very talented wedding coordinator/planner Amanda Wallace. 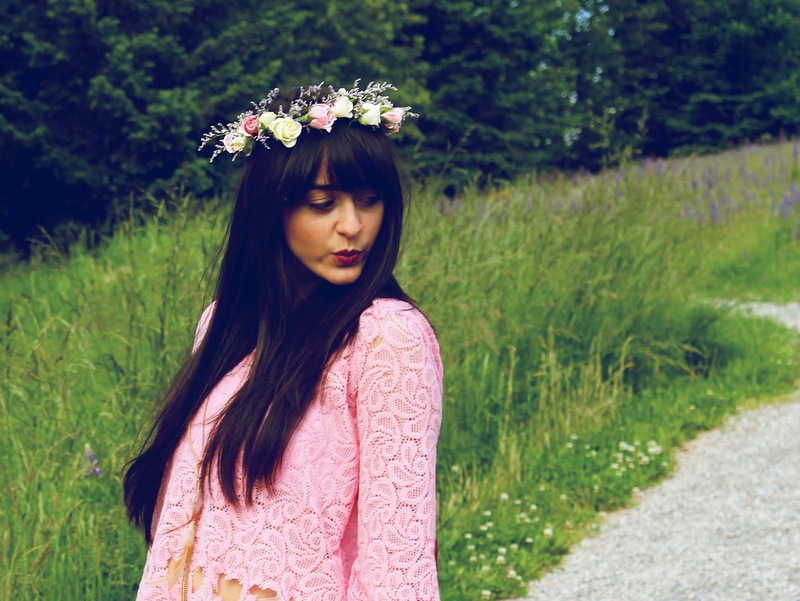 Besides being one of my nearest and dearest, she is also the author of the wedding blog Something-Pretty. If you are getting ready to take the plunge tie the knot, or are forced blessed to be apart of the planning of someone else's special day, you should check out her site and Pinterest account where she has the most amazing photo collection. ...oh and I also owe all of today's amazing photos to her! 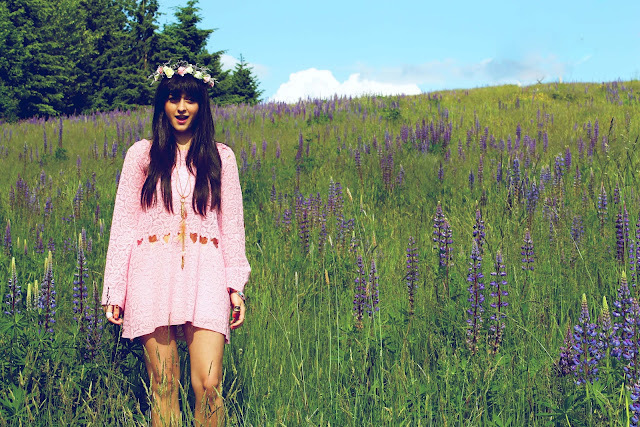 Thanks for stopping by today, I hoped you enjoyed the trip to the land of green fields and boho chic-ness! Come back soon, and don't forget to tell me what you think below. Today's Product of the Week may be a surprise to some eventhough It doesn't exactly follow all of the strange, un-expected previous weekly products. This week's product is one that it is a little less outside the box, however it's many uses are allover, under, and outside the box! Many of you may already know that Coconut Oil is a healthier oil alternative to the more usual cooking oils suspects (canola, olive, vegetable), but did you know that it also has an abundance of other beauty benefits? Coconut Oil can help with anything from general moisturizing to embarrassing rash medicating, so I thought I would share some of my favvourite uses, aswell as the not so obvious uses with you. 1. Deep leave-in hair condition. I often get comments on how healthy and shiny my hair is, and I owe a lot of those compliments to Coconut Oil. Just apply a SMALL amount to dry ends, and leave it in as long as possible. Wash out thoroughly when you are ready. I had the misfortune of suffering from cradle cap well out of my "cradle" years. Massage Coconut oil onto the scalp and leaving in over night to rid of any scalp dryness or build-up. A while back I shared my homemade lip scrub recipe with you check here to see how you can make this tasty lip scrub using Coconut Oil. 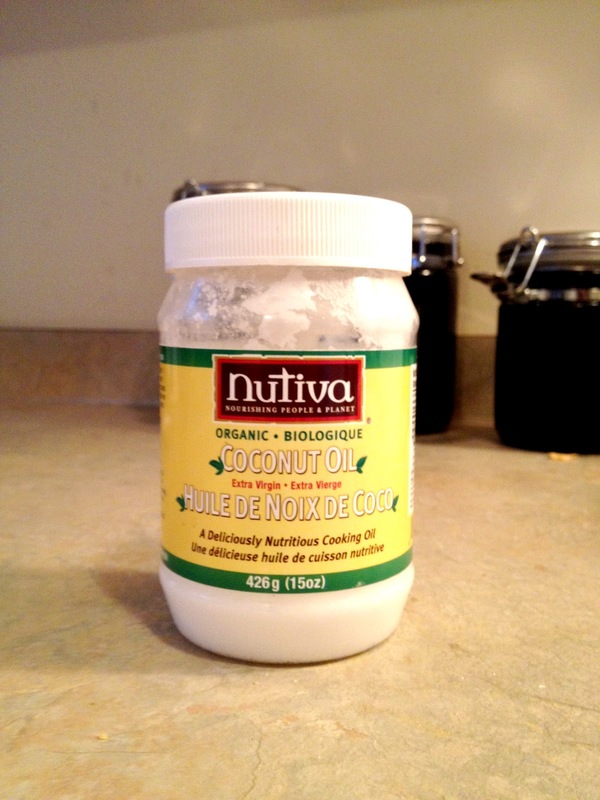 Coconut Oil can be used in place of shaving cream. It protects the skin from the damage that can occur from shaving and provides a smooth finish. I love how my legs smell after I use it. Whenever you are feeling overly dry from any extreme weather change, use Coconut Oil in place of your regular moisturizer. Remember if you have oily skin (on your face especially) only use a small amount. We don't want to see any shiny face explosions. ..and the list goes on and on. Research some more uses yourself and be prepared to be blown away. Now, where can you purchase this amazing product? I got my medium jar at Winners for $9 but I have also seen it at Superstore in the health food isle. so go on and get using some Coconut Oil! Got any uses for Coconut Oil that I missed? Share some of your secrets below. wearing new Topshop pink highwaisted pants.. love. I tried so hard to make my feet grow a size and a half :( it was a no go. Enjoy your weekend.. unfortunately rain is scheduled for the next couple days, but the reality is we'd probably get nothing done if it weren't for the rain... so cheer up ?